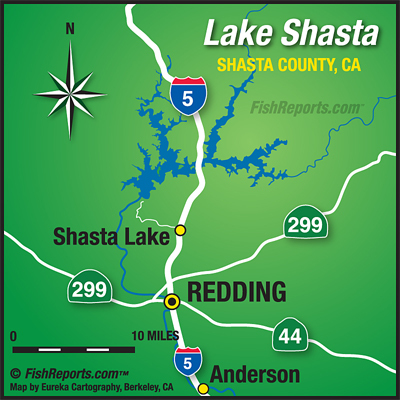 The Redding area has been hot both in temperature and the fishing. Nothing can beat the outstanding trout fishing on the Sacramento River in Redding, the Kokanee fishing of Whiskeytown or the trout trolling successes enjoyed by those targeting the thermocline at Lake Shasta, not to mention the influx of fresh salmon into the Sac. But anglers are also faced with a continuation of the hot summer temperatures during the mid-day so prevalent in the area. Fall is just not quick enough for some. A good way to beat the heat but still enjoy some great angling opportunities, is a quick run east of Redding to Hat Creek. While this drainage is still being heavily stocked, the summer crowds are gone with schools back in session. Now is a great time to enjoy cool mornings and comparatively milder mid-day temps while catching quality trout. Rainbows and Brook trout are heavily stocked in the Old Station (Upper Hat Creek) area as well as around Cassel (Middle Hat Creek). While there is also some natural reproducing Brown trout in the Upper and Middle Creek areas, Baum Lake just north of Cassel is heavily stocked with browns especially in the late fall and winter. The trout can grow very big at Baum which also has the benefit of a number of broodstock being dumped into the lake from the adjacent Crystal Lake Hatchery. At Baum there is a very real shot at catching all three species in one day, having accomplished the trifecta of brown, brook and rainbow a few times myself. 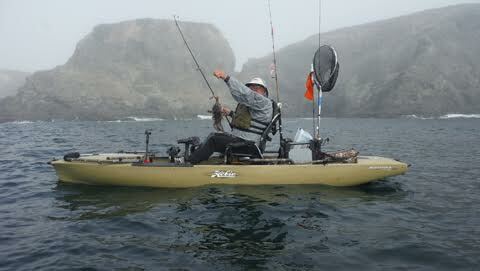 Bait anglers do well in the creek with power bait, worms, salmon eggs and crickets. Many anglers also use spinners such as Panther Martins or small deep running lures like small flatfish or Rebel Deep Teeny Crawfish with success. Fly angling can also be outstanding at Cassel and Baum Lake and the use of small personal pontoons and kick boats is a great option at Baum which does not allow any gas powered motors on the water. A great area to swing flies is at the outlet of Powerhouse 1 which feeds Baum Lake behind the fish hatchery. Another couple of popular fly areas are near the outflow from Crystal Lake and in front of the handicapped fishing dock, where the constant current provides a throughway for both rainbows and browns. But bait and lure fisherman can enjoy great success at Baum as well. Another great heat busting option that is currently outstanding is a little more of a drive from Redding, about two and a half hours north to Medicine Lake where anglers can hook Brook trout on seemingly every cast or at least get a bump or two. The Brook trout are in all their spawning glory, bright orange bellies and deep green spotted backs and sides. The trout tend to cruise along the shoreline within casting distance of quarter ounce spoons or fly casting wooly buggers. Of course, using a boat or even float tube will keep you well in the zone just in case the trout are just beyond casting range. I have had particularly good luck using a quarter ounce Crackle Frog Dardevle spoon topped off with a very small piece of nightcrawler off the back of one of the trebles for scent. A quarter inch piece works just fine. This is a closing window of opportunity as snow normally arrives early at this 6,000 foot lake and roads are not maintained once the snow begins halting access sometimes before Halloween.